Resistors can have wattage ranges that start from 0.03 watts to kilowatts and higher. 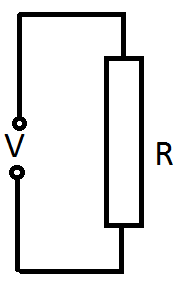 Resistors can allow only a limited current amount passing through them.Once the current passes through the resistor , it produces heat.If the heat is too great , then the resistor will burn down. In the resistor datasheet there is a parameter called permissible Temperature.Once the temperature is reached the resistor is loosing its characteristics. One way to lower the temperature is to use heat sinks, but is not always possible or desirable. After we found the power that the resistor requires we have to find a resistor that will handle that power. And also temperature will degrade the capacity of the resistor to handle power.For example a thin film resistor will handle 80% of power dissipation at 85 degrees Celsius and 50% at 100 degrees Celsius. So it would be advisable to add a lot of margin . So having a resistor with at least double the wattage required would be advisable. One problem with having resistors with bigger power dissipation is their size.Increasing the size of the resistor will increase the size of the board which will increase the price.